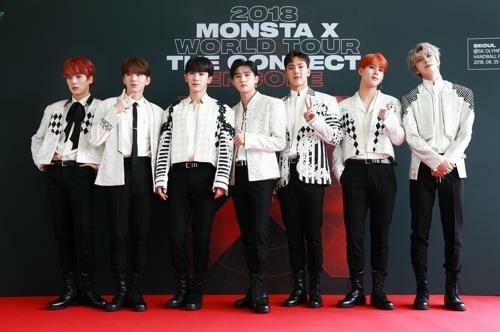 SEOUL, Aug. 25 (Yonhap) — Returning from their second world arena tour since debuting in 2015, boy band Monsta X said Saturday the recent performance trip was a coming-of-age moment for the young band. “In the course of the world tour, I came to a realization about why I became a singer and stay in the scene. It gave me a satisfying conclusion that I made a right choice,” member Jooheon said during a news conference in Olympic Park’s handball arena in southeastern Seoul ahead of the band’s concerts here. 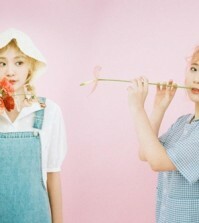 The two-day local concerts that will last until Sunday are an encore following their world arena tour “The Connect,” which started off in Seoul in May and took the seven-member group to a total of 20 cities in Europe, Asia and North and South America. Following the Seoul concerts, the band will travel to Tokyo and Osaka to wrap up the world tour there. “We don’t know how far we can go, but we are striving to grow steadily,” member Shownu noted. “Now the members look more relaxed and mature onstage, and even our faces look more handsome,” he said, adding that the band members have also learned to deal with unexpected problems in a smoother manner over three years in the K-pop scene.